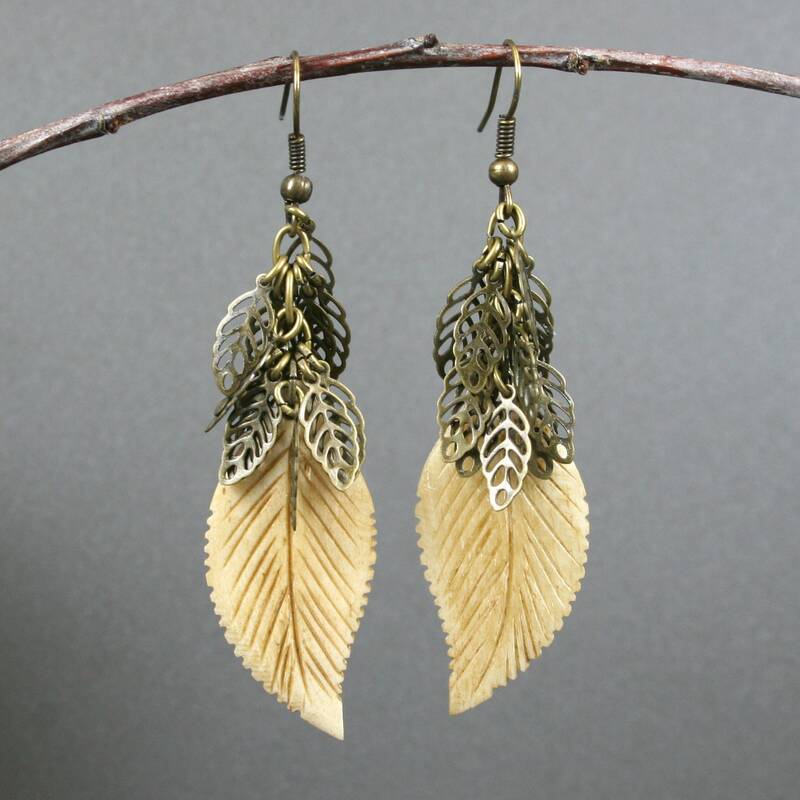 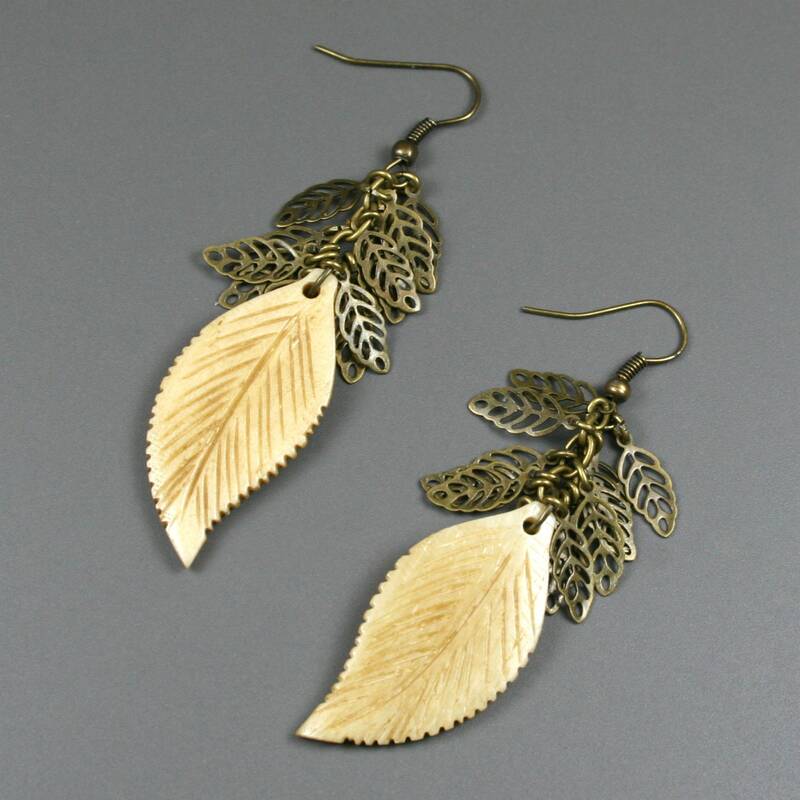 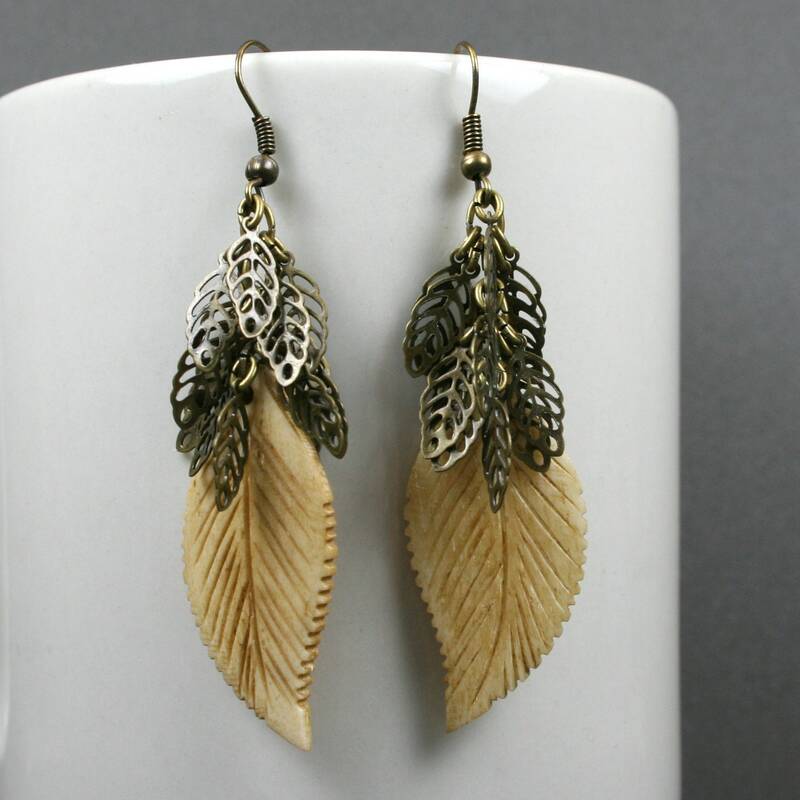 Each earring contains a double-sided carved bone leaf (37 x 18 mm) that dangles from a short chain from which a cascade of antiqued brass leaf charms (11 x 5.5 mm) are clustered. 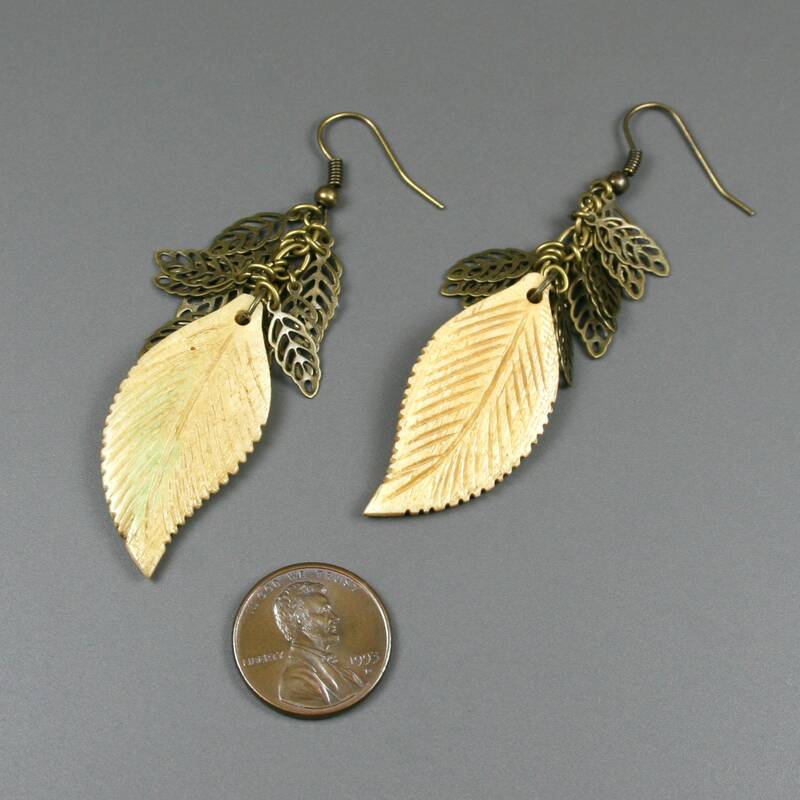 This all dangles below bronze ear wires. 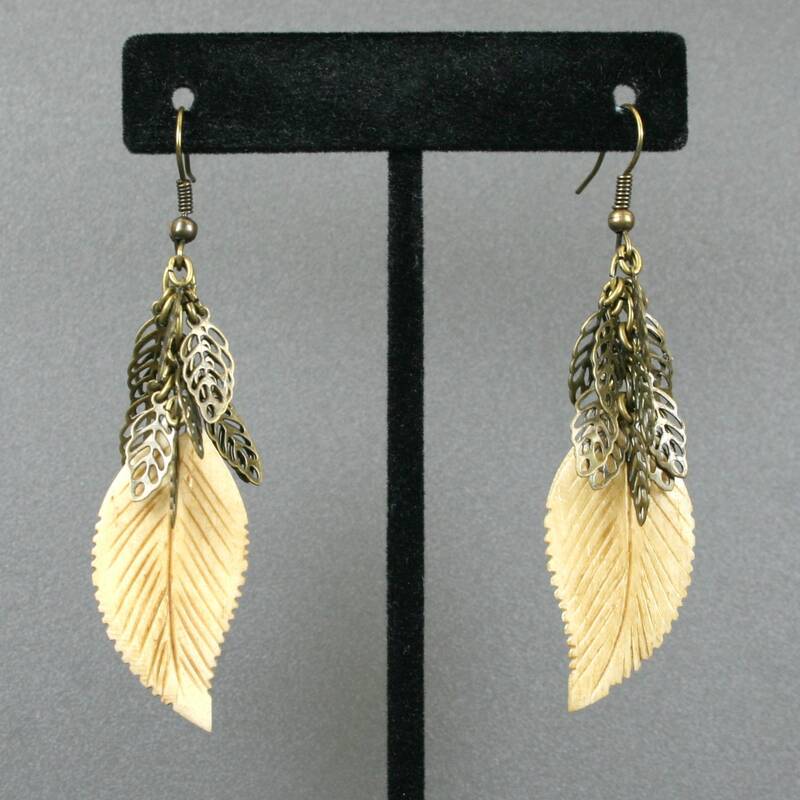 The bottom of the earrings dangle 70 mm from the top of the ear wire.